It’s December and time for the final health challenge of the year. This one could be a bit difficult especially with all the added holiday things everyone needs to get done. Although, I do believe it is one that is very important since many families loose touch with each other during this time of year. Decembers Health Challenge Is: Family dinner at the dining room table 2x’s a week. No television, no phones, no laptops, no electronics, just dinner with the family. Hold a conversation with your husband,wife, children, parents etc. Talk about work, school, the holidays, outdoor activities etc. Family dinner can be the best part of any day if you allow it to happen. Make this a priority in your family just twice a week for the next month. I bet you will enjoy it so much that you may even continue into the new year. I had every intention of posting regularly this week although as you can see this plan did not happen. After spending four days and countless hours in the hospital with my father-in-law and then going back to work on Monday, I was tired. During the week we were left with only the evening hours to visit with him after working all day, which used up every ounce of energy I had left. Let me catch you up a bit on my last week and show you what I did squeeze in for workouts. Like I said, Monday I returned to work and I must admit routine was nice. After sitting, walking the halls of a hospital and trying to wrap my head around how a cardiac ICU unit functions, I needed my routine life back. These nurses in this unit are IMPRESSIVE and that is an understatement. From patient care to family care they have it all and they even manage to throw in a little fun into the mix at times also. We could not have wished for a better team of professional to care for my father-in-law. I also found it very comforting and at the same time odd that we actually made friends with other patients families in the CICU waiting area. 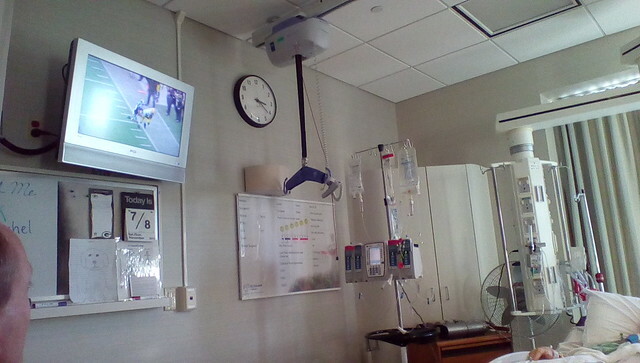 Since visitation is limited much of the time while in this unit we spent a lot of time just waiting for our turn to have some time in the room with my father-in-law. During this waiting time other patients families would talk, share and discuss what they where doing in this area also. It’s comforting to know that others are going through the same thing, struggling with the same issues and can relate. Not my greatest week of workouts but I still managed to get in a few sweat sessions and that is good enough for me. Toward the end of the week I started coming down with some sort of nasty virus and was feeling pretty rough. Which in turn made me decide to just call it a week and rest when I could.I am looking forward to life getting back on track in this next week. Can you believe it’s November already? At the beginning of October our calendar was quite empty but somehow we filled it quickly which made the month fly by and now here we are….November. 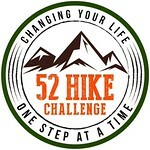 This months health challenge should not be too difficult for anyone. Since the holidays are coming upon us quickly I thought I would keep this one simple. Novembers Health Challenge: Prepare one new HEALTHY dish for Thanksgiving. I have been researching a few myself and have not decided which one I will prepare for my family quite yet. Thanksgiving for us is typically just us three so it should be pretty easy to decide when we get a bit closer to the date. 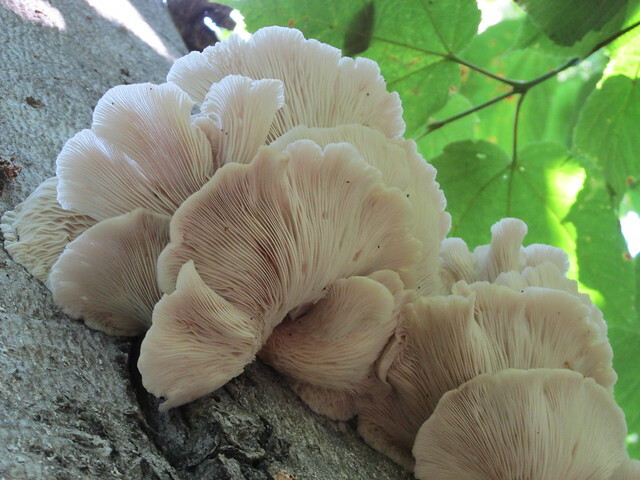 If you find any great looking recipes or try something that goes over wonderful and you want to share it….feel free. I love hearing about great recipes. 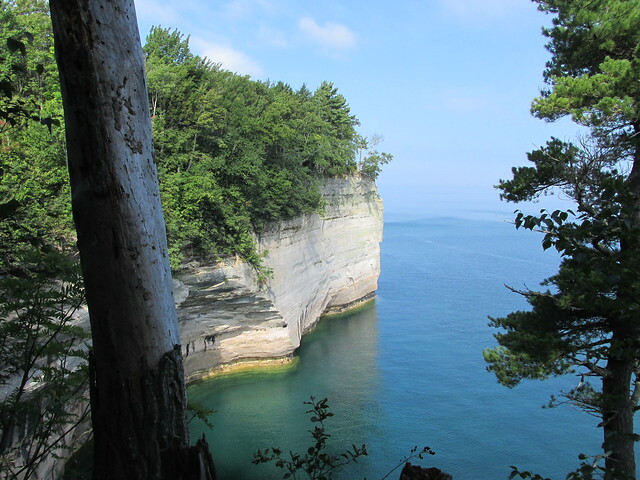 If you are searching for a wonderful day hike I would highly recommend the Chapel Loop Hike- Pictured Rocks National Lakeshore in Michigan. 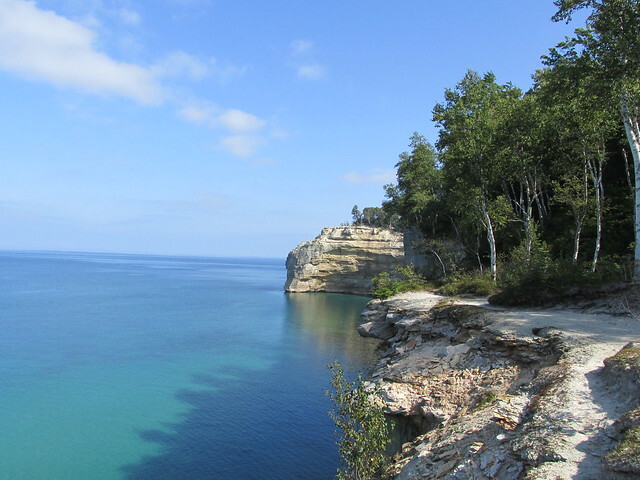 This is a 10 mile loop with breathtaking views along the gorgeous lakeshore bluffs of Lake Michigan. This was our first time hiking this trail and I am extremely thrilled to say #1 we made the entire 10 miles and #2 it will be repeated again! Here is what we did, where we stayed, and advice for anyone thinking about attempted this hike. 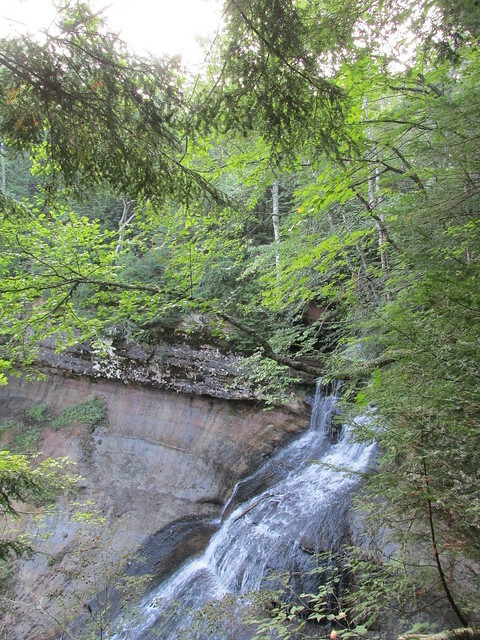 We drove from our home in WI and stayed the night in Munising, MI which is about 20 minutes from the trail head. 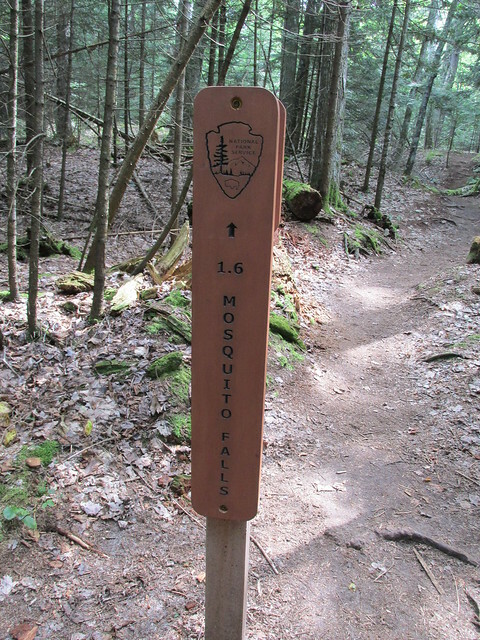 Before leaving home, I contacted the park ranger and we discussed the black fly problem and bear precautions. 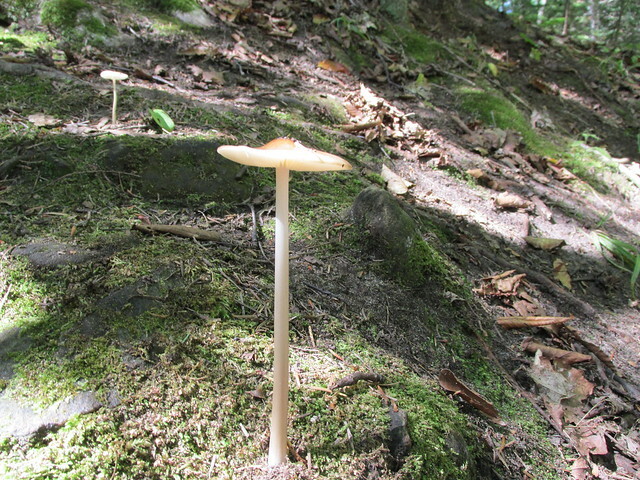 He informed me that the black flies are normally gone by September but could linger depending on the weather. We purchased headnets to wear in the instance that these were still lingering although we never needed them. The only place we encounter them was when we were on the beach and they were not too horrible. As for bear precautions, as much as I hated spending $50 on a can of bear spray, I did it anyhow. My husband wore this the entire hike on the outside of his pack for easy access if needed. Thankfully, the only bear we saw was in the backyard of our hotel and I was safely inside our room looking out at this fine creature. I will say, however, that along the trail we did run into a few other hikers and backcountry campers whom all had their bear spray visible and ready also, so I felt a little safer knowing that we had ours too. Now, as for the trail….we arrived just before 8am Saturday morning and the parking lot only had a few cars in it. 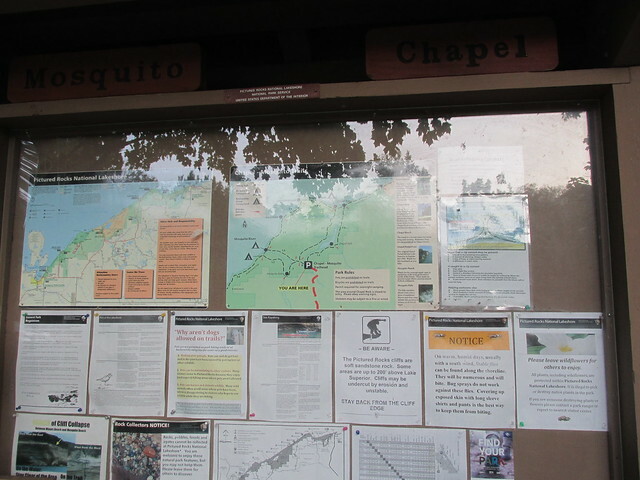 We used the bathroom facility, took a look at the maps, warnings, and such on the board and decided to head the direction of Chapel Falls. 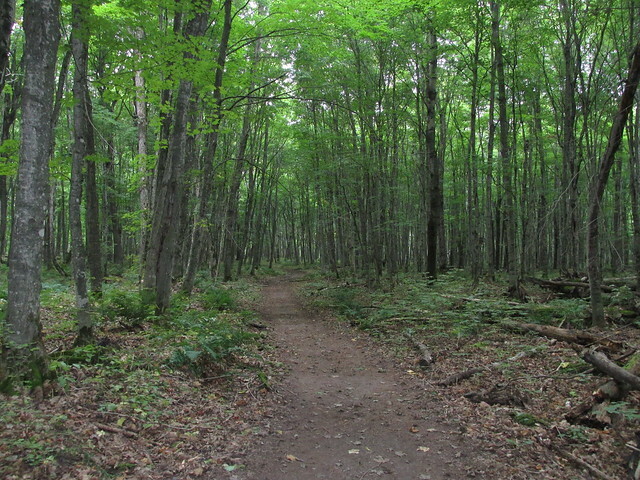 The first part of this trail was wide and went through big, beautiful forest. 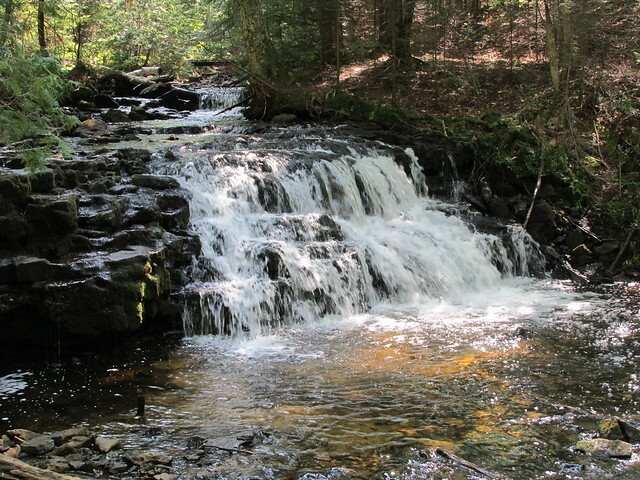 Not far in we heard Chapel Falls. 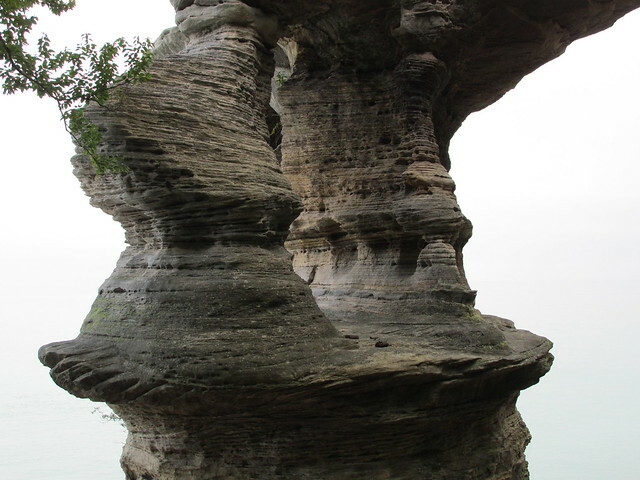 Then we headed further towards Chapel Rock. This was really amazing. 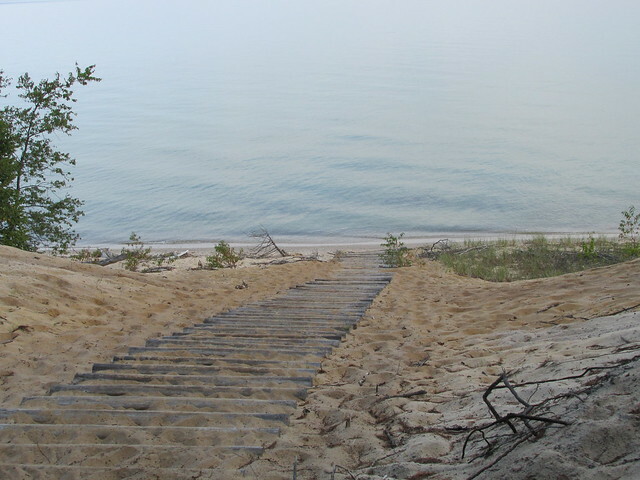 After Chapel Rock you will continue down the trail to Chapel Beach. 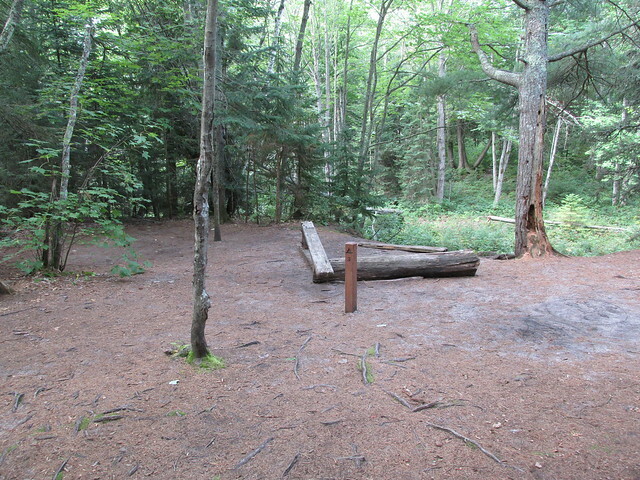 This is also the location of the first campsite area for back country campers. And an area that had restrooms. I was very thankful for this and I must say, this was one of the nicest signs I saw along the trail. 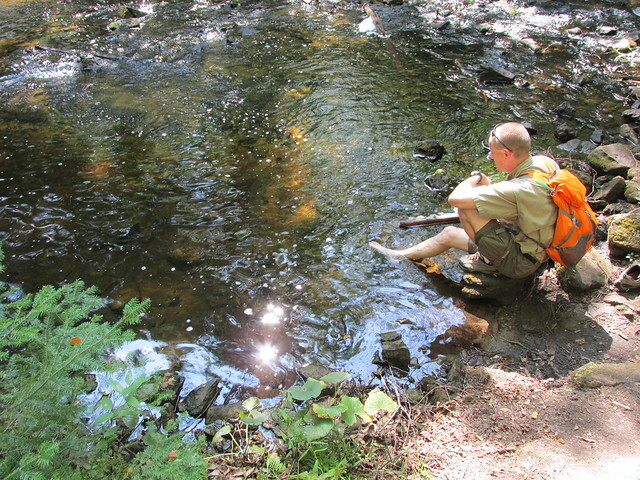 When I came out I found my husband had stripped of his pack, shoes, and socks and was enjoying the cool waters of the lake. After a nice break here we headed up further to Grand Portal Point. 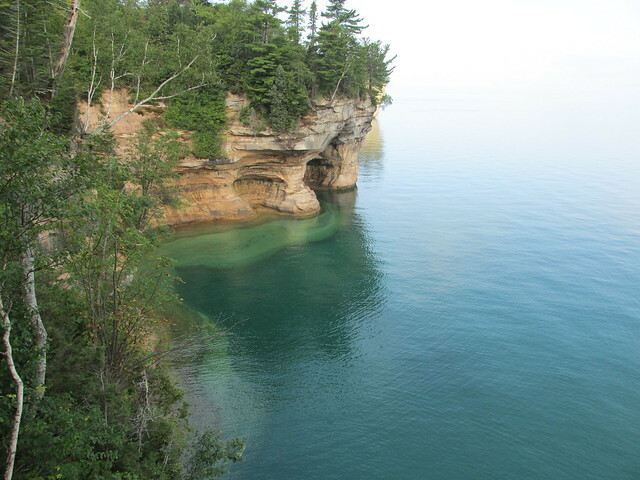 These few miles went by so quickly because the views we saw as we hiked the bluffs edge were just spectacular. As you round the back side of Grand Portal Point you come to a very nice area for a break. At this point you are about half way finished. 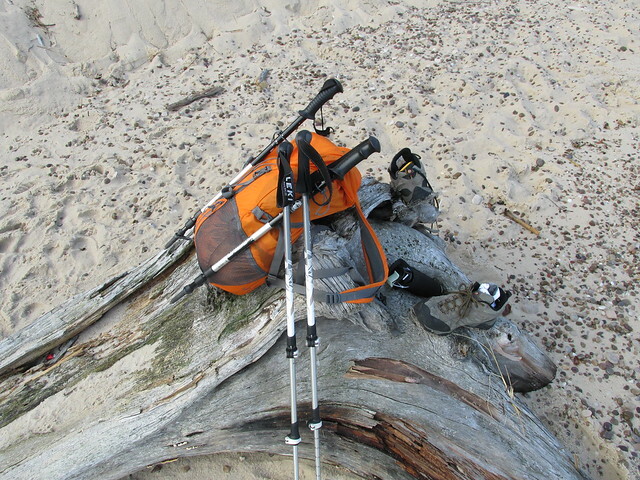 If you decide to sit and have a snack, watch your packs, critters are very friendly on this trail. 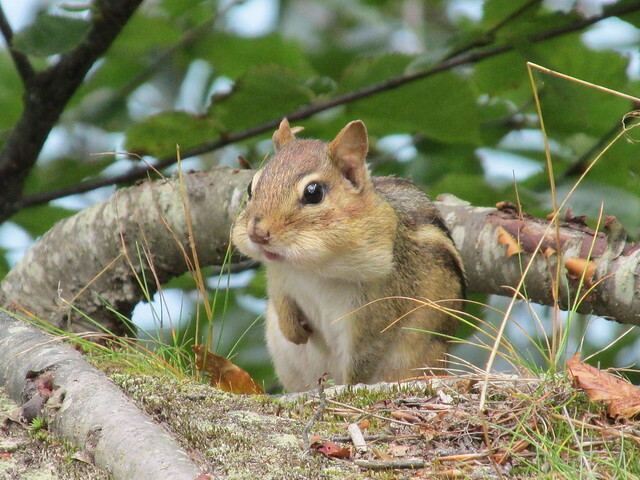 We met this little fella begging for one of our almonds. 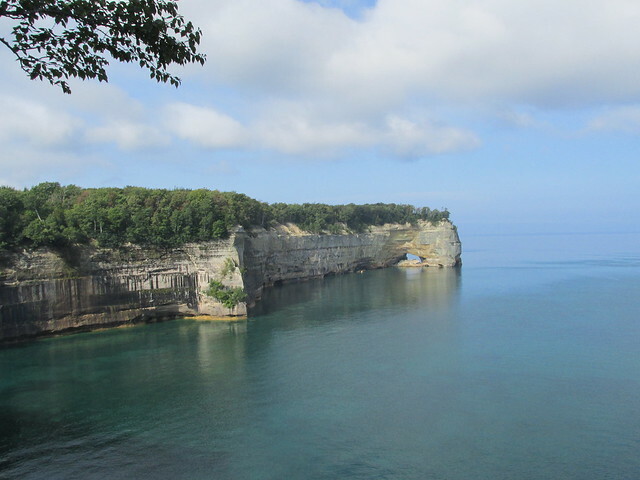 As you make your way further you will see beautiful blue water, rock ledges, and what is known as Lover’s Leap Arch. 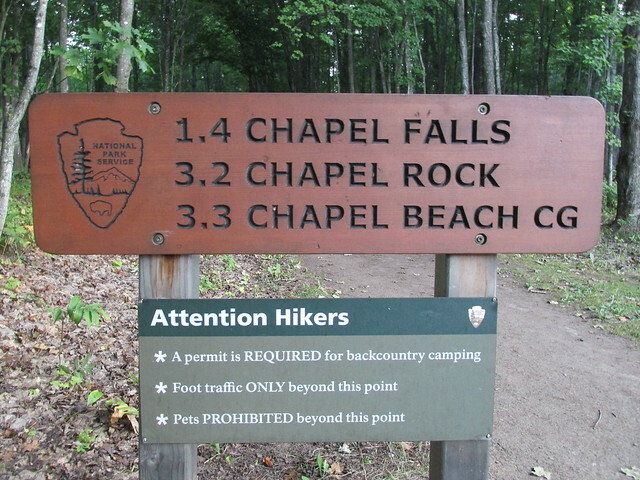 This is all while hiking along the lakeshore on, at times, a very narrow path near the edge, caution is needed.Your next big stop will be at Mosquito Beach/Camp which is also camp area #2 for campers.We found this much more busy with tourists and moved pretty quickly through this area toward Mosquito Falls. While he did this I explored the area. All that was left after this was the parking lot. Which seemed to be miles from where we were but was actually only about another mile. When we arrived back at the parking lot I was completely speechless……….there were so many cars that they had started parking up both sides of the dirt road for almost an entire mile. My advice is if you plan to do any part of this hike arrive early. Very early. We accomplished this 10 mile hike is just over 6 hrs, with two breaks for a snack and two rest periods in the water. After finishing for the day we returned to our hotel, ate dinner, and were both in bed by 7pm exhausted but extremely grateful for accomplishing this hike. It was wonderful! 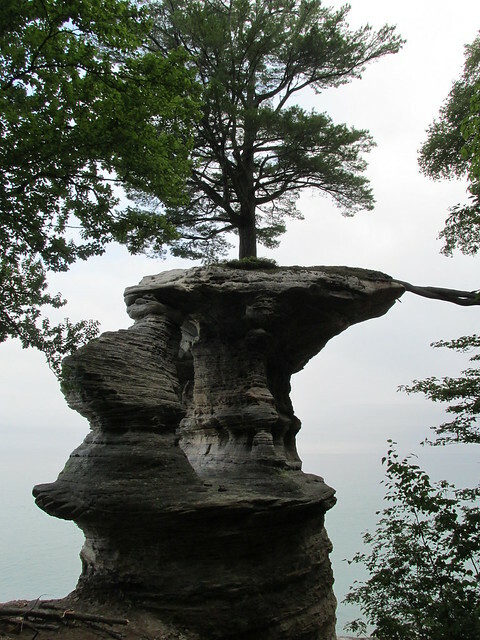 My personal thoughts: I loved this hike, however, I am one that loves rock, bluffs, and waterfalls. 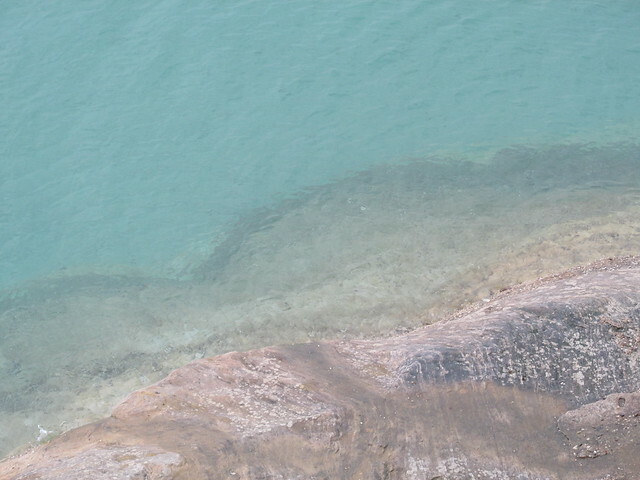 If you are the same, then you should also enjoy this hike. There is a lot of different terrain here, nothing severe, but different throughout. Roots and rocks can be detrimental to toes so sandals would not be your best choice of footwear here. I thought the trails were very well marked until the last few miles. 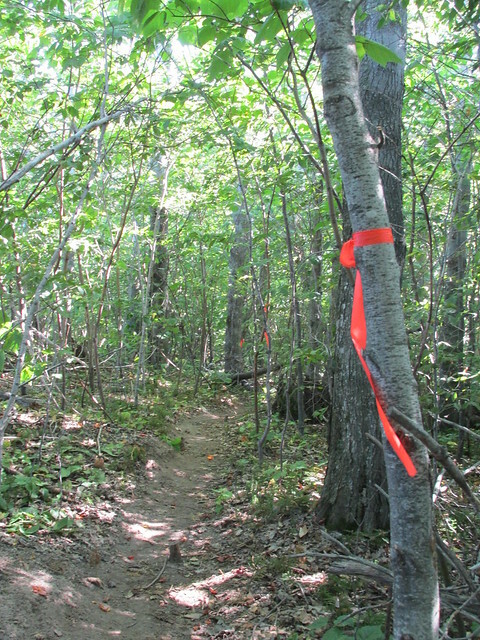 From Mosquito Campground until the parking lot they can be somewhat confusing so remember your trail map. 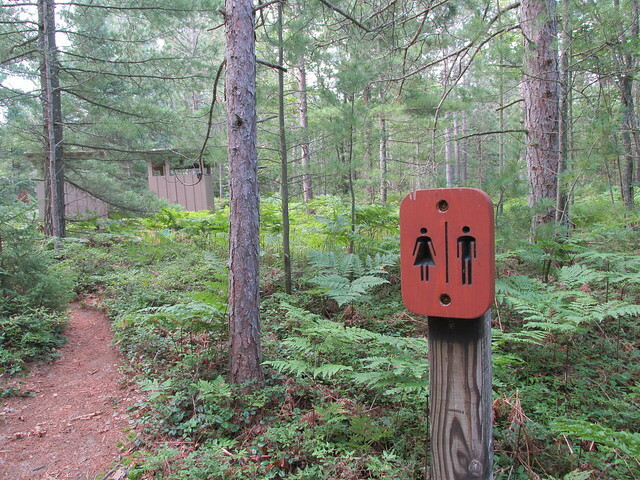 And one last thing, because I know every female will appreciate this, yes you will find restrooms at the start, at Chapel Beach Campground, and at Mosquito Beach Campground HOWEVER bring your own TP! 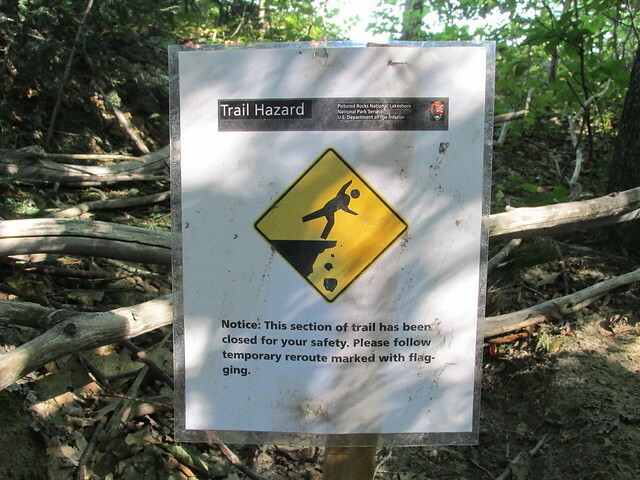 NOTE: We did run into one trail hazard along the route and it was well marked and a detour has been made by the park dept. It only brings you off trail a few yards at most. Be careful. Labor Day ….What Does It Mean To You? For many Labor Day simply means an extra day off, end of summer merchandise sales are taking place at retailers, summer cabins are being closed up for the upcoming winter, or campers are getting in one last camping trip before the bathroom houses are closed down for the season. In truth, however, it was set aside for everyone to pay tribute to all working men and women out there. For me, it brings many different meanings some wonderful and some not so wonderful. First, it means that summer is unofficially over. School is back in session, schedules need to be followed, and traffic picks up in our area due to school drop off and pick ups. UGGGG! Second, it means that laundry gets a little more abundant. Jeans and sweatshirts mean a few more loads a week….UGGGG! And lastly, it means that some of my favorite foods start making a comeback to our weekly menu. Beef stew, chili, and soups are among my favorite meals to have in cooler weather. Not to mention, pumpkin and pumpkin spice items can be found sprinkled around grocery stores everywhere…mmmmm….what to try first is anyones guess. So, as we approach Labor Day weekend, which yes, for me means an extra day off like many of you, let’s not forget to reflect on this past summer and all the fun and exciting things we all did. 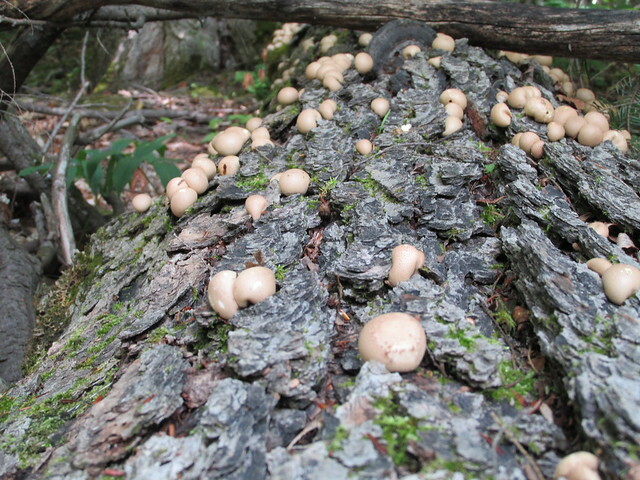 You all have a great Labor Day weekend and I will be back next week with a great new hike to share with you all. Oh my….I have so many things I could tell you about that I don’t even know where to start. First, let me just say, we had the most awesome vacation that we have ever had as a family!!!!!! Upon landing in Las Vegas the temperature was an awesome 111 degrees. As you can imagine, I was one VERY happy woman. My son and husband, on the other hand, were not so very happy when the pilot made this temperature announcement. After deplaning, taking the shuttle to the rent a car building, and picking out our rental for the week we headed through the desert toward Springdale, Utah. 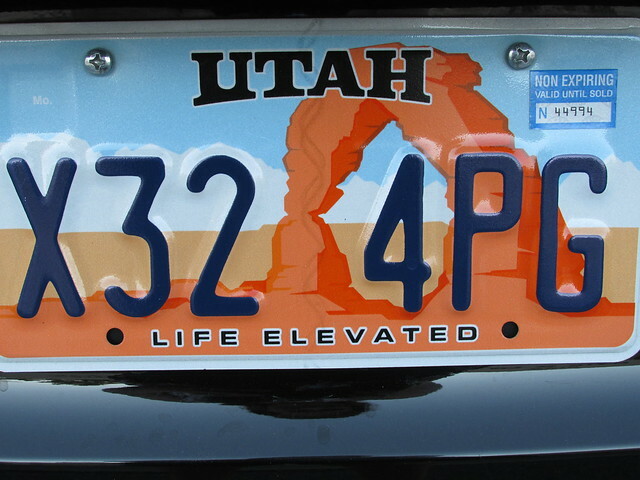 I, of course, picked the only rental with Utah license plate, because I have always wanted a car with this plate. We arrived just as the sun was setting and got all settled into our hotel room. It had been a very long day. We had been traveling since 5 a.m. so we were very happy when we finally arrived. That night our son captured a few star pictures and the milky way but it did not take long for us all to turn in for the night. Our plan for our first whole day was the biggest hike we had planned which was to the top of Observation Point. Since my husband and I had stayed at this hotel once before we knew that they served a fabulous big breakfast which is included in the price of the room. I think our son was a little speechless to be honest when morning arrived and we walked to the lobby area for breakfast. This was not your typical continental breakfast. 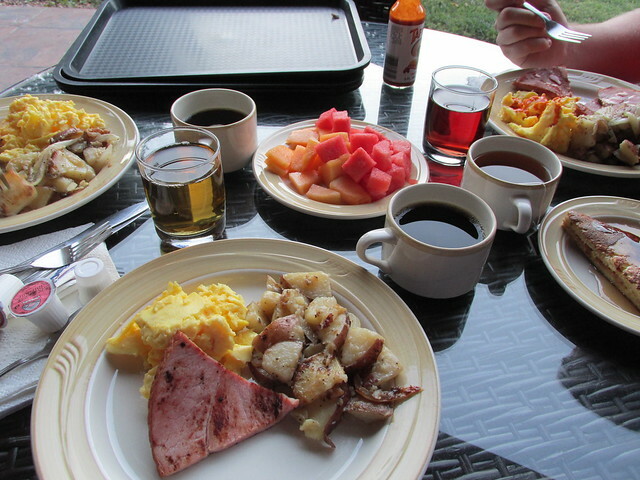 We enjoyed this breakfast every single morning on the outdoor patio facing gorgeous mountain peaks…..if only I could wake up every morning to this view. After breakfast we boarded the first of many shuttles into the park. 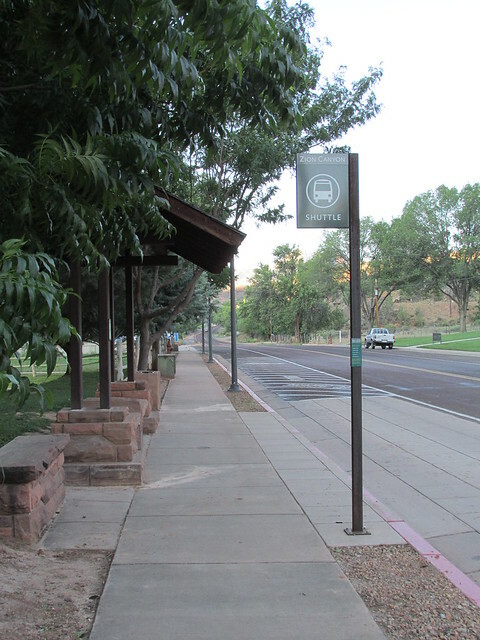 Shuttle stops are located throughout the city of Springdale and make stops at many area businesses. We never once waited for more than 10 minutes for a shuttle. 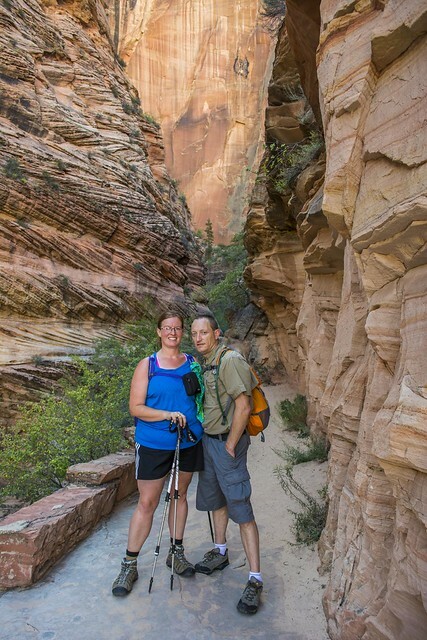 Upon exiting the city shuttle we then entered the park and boarded the Zion shuttle to our chosen trail head. 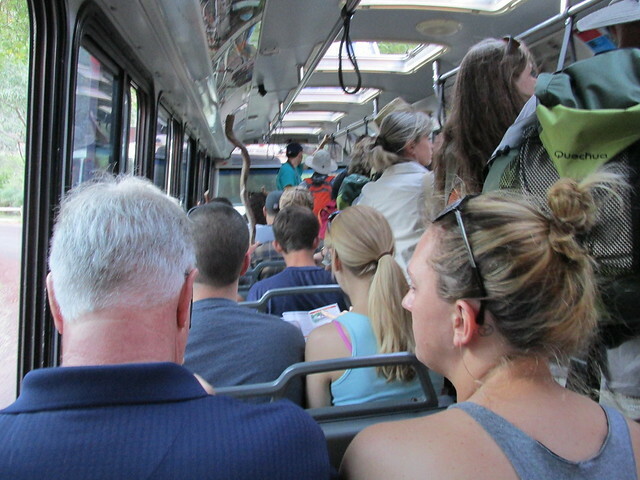 These park shuttles are packed wall to wall with hikers and tourists but are the only way to travel through Zion National Park. Personal vehicles are not allowed on the trail head road ways in Zion National Park. After a few minutes we arrived at our trail head and immediately headed up the mountain by way of switchbacks. I knew by the look on our son’s face that he was amazed with the scenery, the steepness of the switchbacks, and the fact that this was going to be harder that what he could have ever imagined. Our goal was the top of Observation Point although, we all knew this was going to be nothing short of a miracle if we reached our goal. 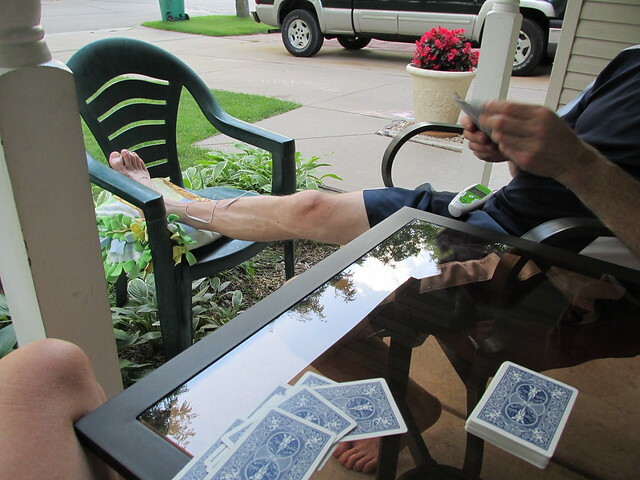 I had come down with some sort of nasty virus two days before leaving and don’t forget my husband was doing this trip with a fairly new herniated disc and nerve damage in one leg. 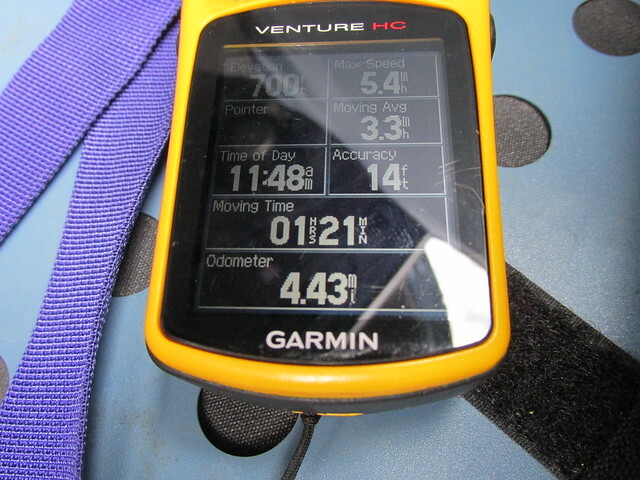 Regardless, we headed up the mountain at fairly good speed taking breaks every few switchbacks. On this particular day it was 106 degrees but amazingly tolerable. About half way up we started our hike through Echo Canyon which is by far my husbands favorite area. It is absolutely gorgeous!!!! Our son was stunned into silence at the beauty that surrounded him. It did not take him long to start snapping pictures so this offered us a little rest time in the cooler canyon. 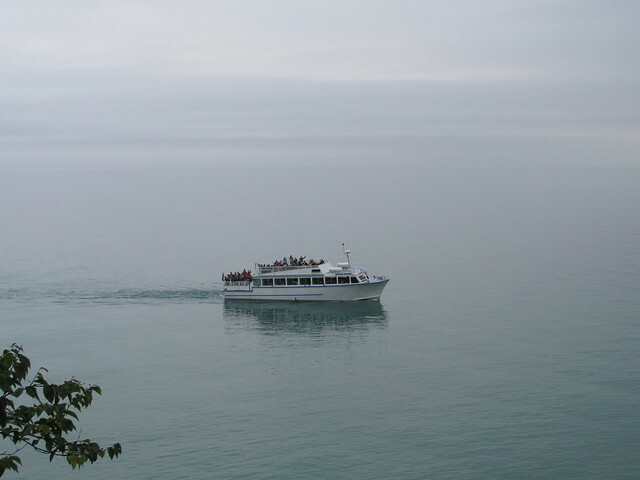 We departed the canyon and headed higher up the mountain for awhile longer. Upon coming out of the canyon we were now in complete sunshine and it was HOT! Our pace had considerably slowed, my cold medication was wearing off, and my husband let us know that he was starting to feel numbness in his foot at this point. 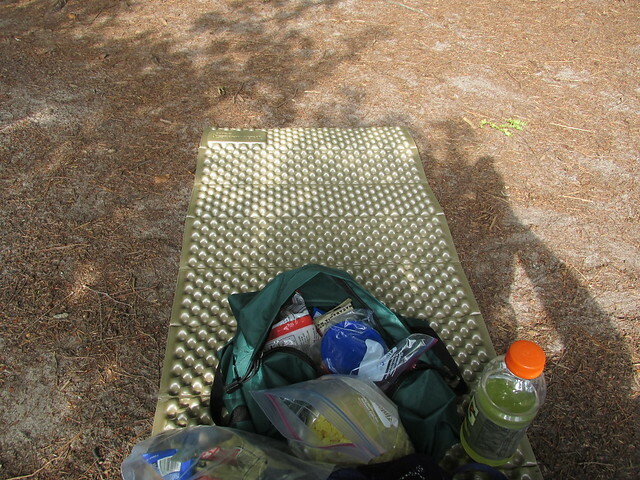 We stopped under a small shade tree and had a snack and some more water. We debated trying to continue or to turn around and be happy with what we had accomplished. After a bit, we all agreed that this was a good time to turn around and thankfully we did. 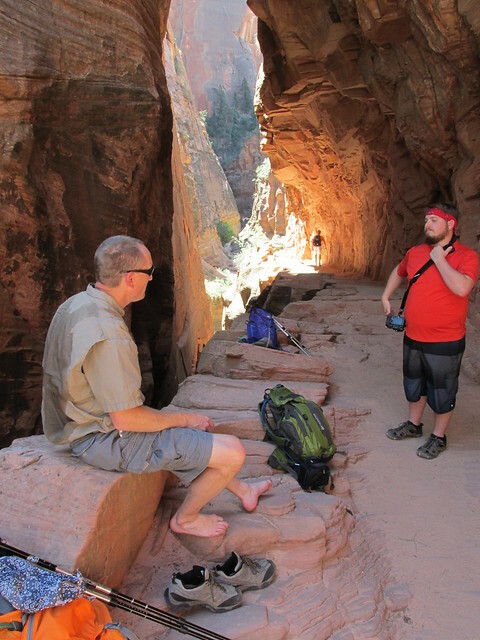 Once we had turned around we again reached the canyon opening and my husband asked to sit for a bit and take a break. His numbness had gotten a bit worse and that was our cue to rest for awhile. We eventually continued back down the mountain and took the shuttle back out to the park entrance, switched to the city shuttle and arrived back at our hotel for some well needed showers. After this it was dinner at a fabulous restaurant where we ate on an outdoor patio surrounded by more mountains. To end our day we all enjoyed the desert sunshine pool side. This was a great ending for us as a family. We estimated we were about 1-1 1/2 miles short of accomplishing the entire hike to the top of Observation Point. 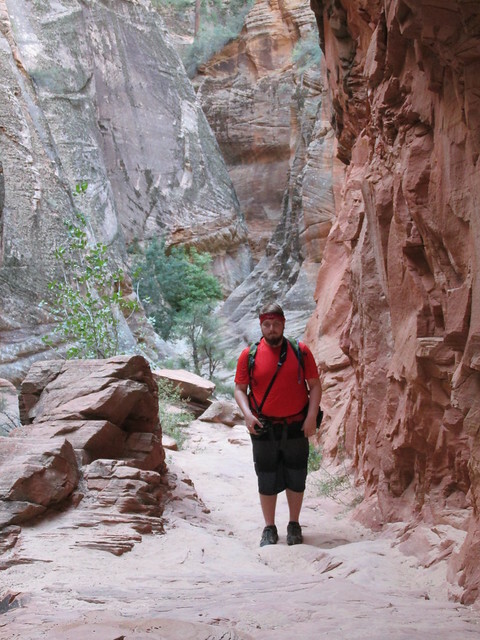 I would highly suggest this hike to anyone that is planning to visit Zion National Park. 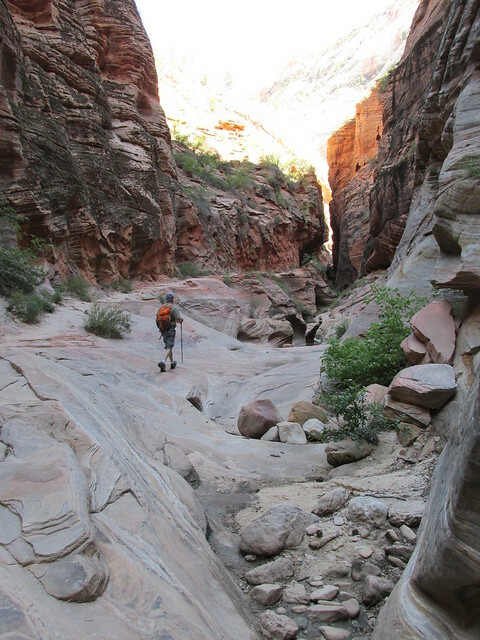 The elevation is intense but well worth the effort to at least reach Echo Canyon. 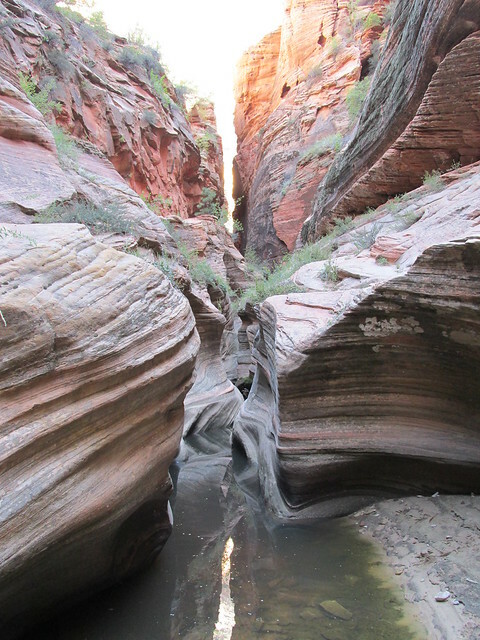 It’s an amazing experience to walk through canyon walls that just continue on forever…..or so it seems. 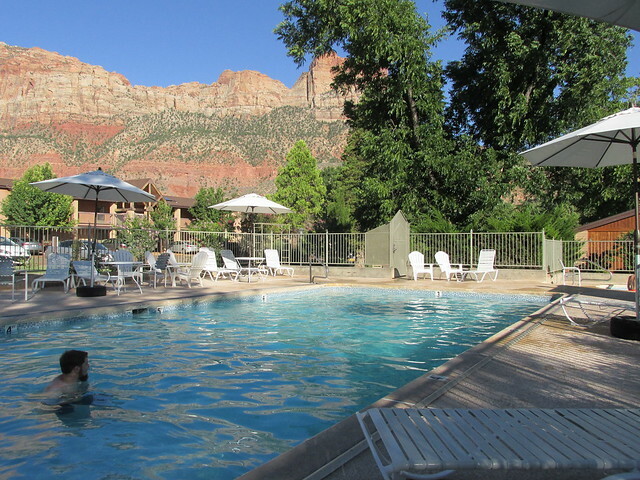 Have you ever visited Zion National Park? What was your favorite hike? 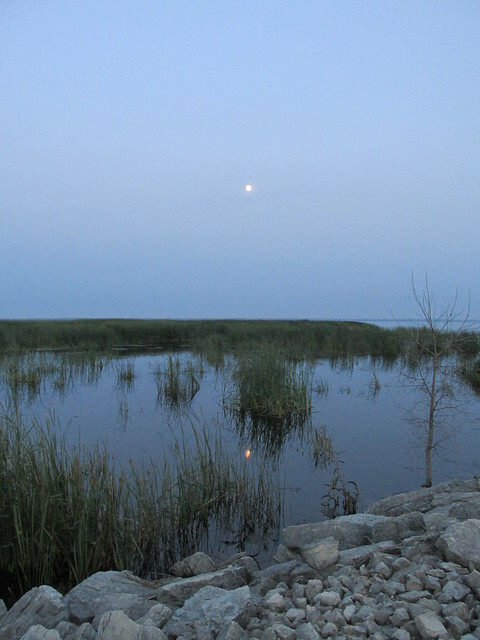 Do you have specific questions regarding the park or the area? Feel free to email me and I will be happy to answer them if I can. 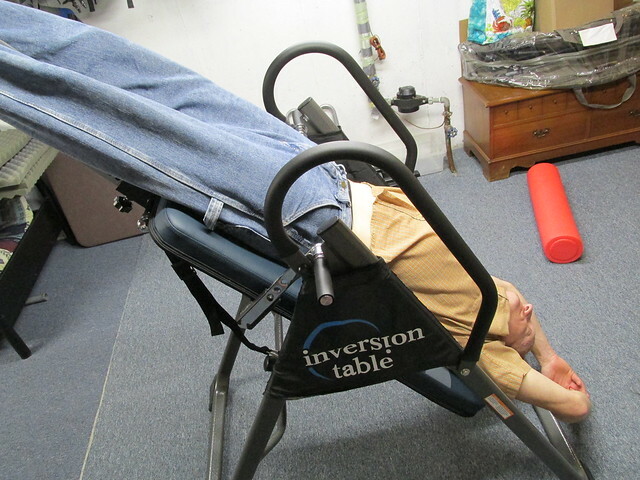 Let’s discuss something that can be quite controversial…..physical therapy. Do you need a professional? During the last month my husband has seen many, many medical professionals and one of them happened to be a physical therapist. 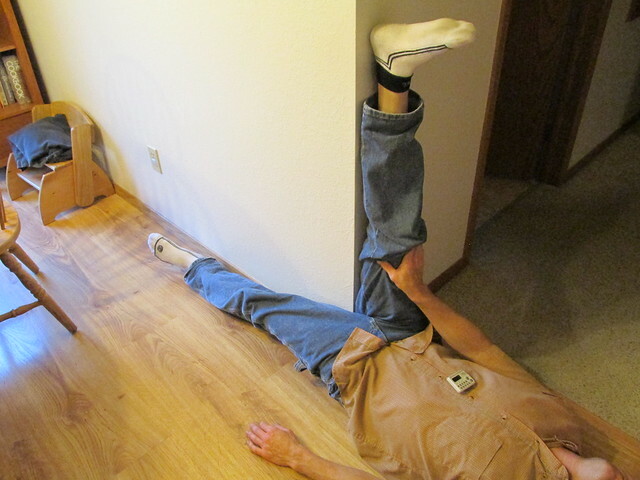 Now, I am not saying all physical therapist are the same or have the same approach with all their patients but after discussing with his neurologist the progression of therapy my husband was receiving he came home and asked me what my opinion was on continuing to keep his therapy appointments twice a week. These appointments had him doing very little and they took up 1 1/2 hours of his day. After discussing what they did, the outlook his pt person had for future appointments, and our normal activity level with the doctor he stated that maybe it would be more beneficial to continue doing everything we have been doing at our pace which would all benefit him greatly. Which then made me say let’s cancel pt all together and we can plan our daily routine around what we know is the best form of therapy for his condition and save us a lot of time and money. So we did. Now, we are pretty lucky since we already had almost everything we needed that he would benefit from right at home from our years of physical activity. 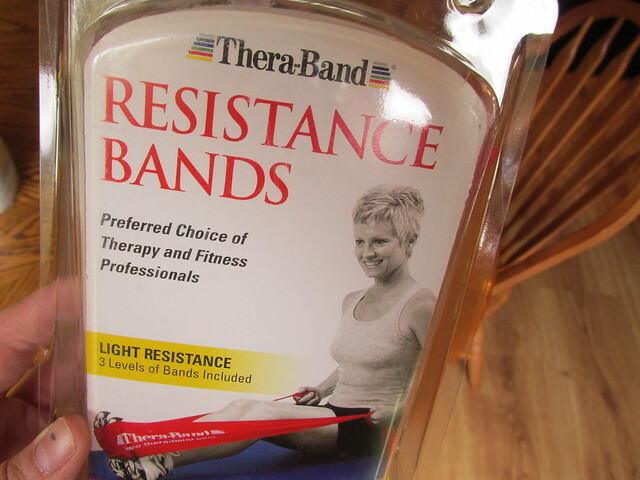 If you are not so lucky and don’t want to invest in some items that are recommended for your condition then you are probably best to still seek the skills of a physical therapist as directed by your doctor. If you follow along you all know that the one thing about us is that we are a very active couple. This routine was by far a challenge to endure, but for some individuals it may be considered grueling. We went into this with no plan what so ever. We did what felt right for that particular day. 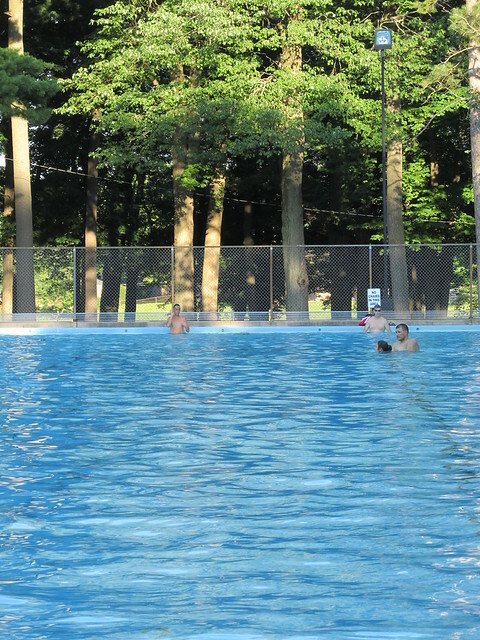 You can see on Thursday, for instance, we ended up in a city pool for open swim time after dinner. He had a very long, hot and uncomfortable day as far as pain is considered at work and water has been our go to ever since it all started. 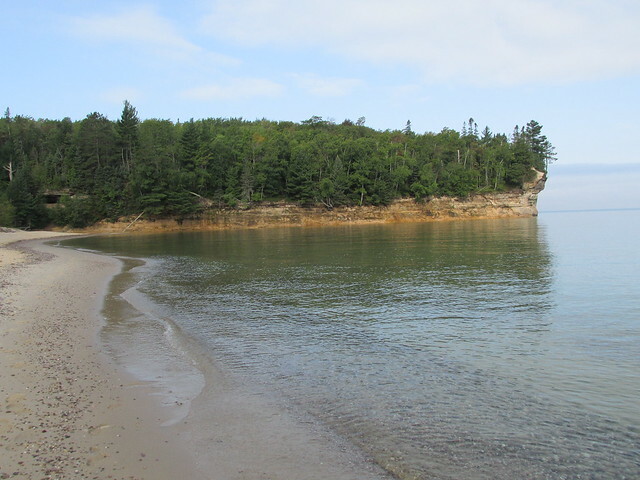 We did not feel like traveling to our normal spot to swim in the bay of Green Bay so we drove and paid $6 for an hour of pool time. If you are not a normal active person and you need that push of a physical therapist and a set time and place then I would suggest you go this route. We, however, do not need a set time and place to be active. We have figured out a way to just change up our normal active routine and adjust it to what he needs to work on to improve his condition. Making it fun, not in a medical facility, and including your family and children will make the actual process of doing whatever your doctor has suggested not so bad. 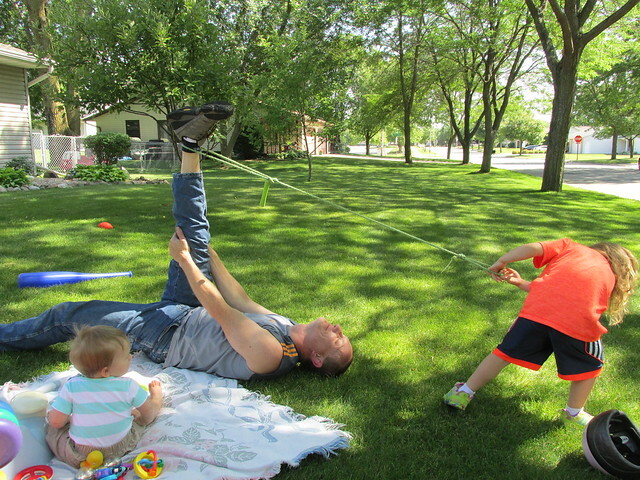 Even my daycare children have started assisting him in ways he never thought he would be stretched. If you are suffering and physical therapy is part of your treatment plan, don’t feel like you have no options. For a few hundred dollars in supplies and some help from family and friends in some instances, it is possible to achieve results on your own. Just don’t push too hard and remember to rest when you need to rest. Sometimes that is the hardest part of healing. Your brain says you can do this and your body is telling you no it can’t.